Florida Atlantic University is also featured in our ranking of the Top 25 Most Affordable Online Bachelor’s in Accounting. In Kaye Hall, the College of Business partners with Bloomberg to present a BBA/BS in Finance at a 24:1 learner-faculty ratio to prepare Florida Atlantic University undergrads with minimum 2.5 GPAs for success managing monetary operations. Chaired by Dr. Emilio Zarruk, this 120-credit, four-year degree fulfills CFA Institute certification in Boca Raton or wholly online via Canvas. Presently costing only $105 to $598 per credit, the bachelor’s integrates case-based courses from Corporate Risk to Investment Portfolios and Derivatives. Niche’s 255th best finance school connects to for-credit internships, such as Citi, Universal Orlando, MassMutual, and Bank of Florida. FAU majors might also practice in the Reuters Trading Room, engage in the Real Estate Initiative, and join Delta Sigma Pi. Ranked 199th nationally by the U.S. News & World Report, the BBA/BS in Accounting boasts 100 percent job placement for nearly 900 Florida Atlantic Owls who’ve comprehensively learned the language of business in Boca Raton, Davie, and Fort Lauderdale or online. The 120-credit Institute of Internal Auditors partner directed by Dr. Michael Crain currently has an eight-semester total of $19,324 to $69,104. However, financial aid like the Ken P. Hoffman Memorial Scholarship reduces prices for courses from Government Accounting to Auditing. Honors students keeping GPAs above 3.3 qualify for expedited MSA admission. Other opportunities include joining the Accounting Students Association, interning at KPMG, taking the Costa Rica Study Tour, and entering the AICPA Competition. Online or in Forbes’ 41st best metro for careers, the FAU College of Business offers a flexible, self-directed Master of Accounting that advances strategic money management know-how for a 64.5 percent first-time Certified Public Accountant pass rate. The 30-credit, AACSB-accredited degree run by Dr. George Young offers tracks for Professional Accounting, Forensic Analytics, Accounting Information Systems, Business Valuation, and Taxation. Open three times yearly, the master’s seeks a minimum 3.0 GPA, 300 GRE, or 500 GMAT mark. Engaged 6000-level courses like Financial Reporting Concepts follow to fulfill Florida licensing. Graduates could pledge Beta Alpha Psi, attend the Financial Institution Fraud Conference, add a Big Data Certificate, and practice with the VITA Program too. Presently priced $1,000 per credit, the Master of Science in Finance at Bloomberg Business Week’s 27th top public school begins FAU cohorts each January and August for 16-month advancement treks into productive corporate asset management careers. Overseen by Dr. Daniel Gropper, the 30-credit, lock-step sequence has an optional Financial Analyst Track for CFA credentialing and Investors Association membership. The Refresher Boot Camp precedes full-time Boca Raton courses from Financial Modeling to Securities that meet Mondays and Wednesdays at 6:15PM. For online formats, students must elect the 43-55 credit Flexible MBA Finance Concentration instead. The College of Business now teaches 676 post-grads with an average 560 GMAT and 72 months of relevant experience. Florida Atlantic University was established in July 1961 by the State Legislature and signed by Governor C. Farris Bryant for study at the former Army Air Corps’ base in Boca Raton. By 1964, FAU enrolled its inaugural class of 867 in upper-division courses and granted its first honorary doctorate to President LBJ. Twenty years later, it was declared Broward County’s lead college and started to expand. Acquiring the Harbor Branch Oceanographic Institution in 2007, Florida Atlantic University now owns seven campuses with an elearning division. 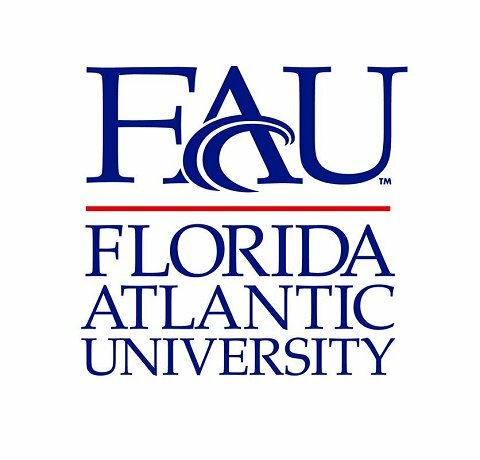 Budgeting $760.5 million, Florida Atlantic has over 1,000 accomplished scholars as a public, coed space-grant RU/H institution of Conference USA. Its current enrollment of 30,808 Owls, including Online BBA in Accounting majors, hail from 180 nations. Some of FAU’s nearly 150,000 alumni are George Zoley, Luis Alberto Moreno, Patricia McKay, and Skip Orr. The U.S. News & World Report ranked Florida Atlantic University the 43rd best online business school. On Niche, FAU is America’s 239th best accounting college, 263rd top public university, and 342d most liberal school. The Center for World Rankings placed FAU 235th for faculty, 482nd for patents, and 378th for quality of education. Forbes crowned Florida Atlantic University the 209th best value and 211th top mid-size employer. The College of Business had the sixth highest CPA exam pass rate. Success magazine noted FAU within its top 50 nationally. The Social Mobility Index recognized Florida Atlantic for the 44th best opportunity. In Washington Monthly, FAU was lauded for the 108th best graduation rate and 149th top research expenditures. 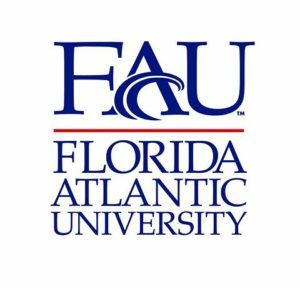 The Hispanic Outlook in Higher Education also named Florida Atlantic University the 28th best pick for Latinos. In 2013, Florida Atlantic University underwent a comprehensive evaluation by the Southern Association of Colleges and Schools Commission on Colleges (SACSCOC) to renew its Level VI accreditation for 10 more years under president Dr. John W. Kelly. This regional agency in Decatur is recognized by the Council on Higher Education Accreditation (CHEA) to conduct quality checkups on FAU’s 96 baccalaureate, 128 master’s, and 31 doctoral programs. The College of Business and School of Accounting also had its dual accreditation reaffirmed by the elite Association to Advance Collegiate Schools of Business (AACSB) International in 2018. Getting into Florida Atlantic University is deemed “moderately difficult” on Peterson’s for the Fall 2016 acceptance rate of 60 percent. The Online BBA in Accounting only admits upper-division undergrads who’ve finished 60 semester or 90 quarter credits. First-year Owls with only a high school diploma or GED take the pre-business online core first. Completing an Associate in Arts at any Florida public college would also fulfill the Intellectual Foundation Program (IFP). Transfers need at least six courses remaining for their bachelor’s. Mandatory prerequisites include College Writing, Accounting I, Macroeconomics, Methods of Calculus, and Introductory Statistics. Each course must have a minimum 2.5 GPA to qualify. On average, admitted FAU undergrads present a 3.46 GPA, 1140 SAT score, and 23 ACT score. International students are welcomed if TOEFL scores are above 80 (internet) or 550 (paper). Full-time FAU undergrads from Florida pay $5,432 for annual tuition. Non-residents are billed $19,432 each year. These figures include the $12 activity fee, $17 athletic fee, $9 health fee, and $5 technology fee per credit. Living at the Boca Raton campus’ dorms like Parliament Hall adds $8,286 for housing and $3,610 for dinning. Florida Atlantic University suggests budgeting $1,900 for transportation, $1,208 for books, and $4,400 for miscellaneous. Annual full-time attendance equals $24,836 in-state and $39,900 out-of-state. However, the Online BBA in Accounting cuts many of these costs. Distance learners only pay $60 per credit or $180 each course atop regular tuition. Floridians pay $261 and non-residents pay $779 per credit online. According to the NCES College Navigator, 58 percent of full-time FAU Owls share $96.37 million in annual financial aid packages of $6,481 on average. The College of Business offers accounting funds like the FICPA Broward Chapter Scholarship, Ken P. Hoffman Memorial Scholarship, Barbara L. & Harrison Newman Scholarship, Silverbush Scholarship, Sean & Tanya Davis Scholarship, Paul Zelenkofske Scholarship, and Moore Stephens Lovelace CPAs Scholarship. Each Spring, students with minimum 3.25 GPAs could be chosen for the FAU Business Leader of the Year. Completing the FAFSA form with code 001481 opens Federal Pell and FSEOG Grant money. Online learners from the Sunshine State can claim the Bright Futures Scholarship, Florida Resident Access Grant, First Generation Matching Grant, and more. The Florida Work Experience Program aids undergrads taking 180+ clock hours at eligible in-state colleges. Florida Atlantic University alums also have a median debt of $22,648 from Perkins, Stafford, Plus, and private loans.